Some men wear sandals to great avail. I am not one of them. Something about my pastey white toes doesn’t appeal, so when the weather gets really oppressive I turn to the old Rivera staple, espadrilles. Cotton upper and jute sole. So little, so good. For at least a century or so, people in Basque country have been churning out these basic shoes to great response from locals and tourists alike. It really doesn’t get much simpler than this. 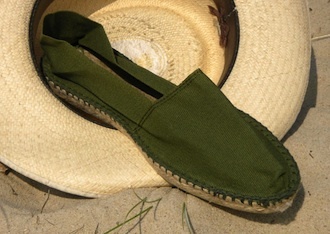 A natural cotton/linen upper stitched onto a woven jute sole. Both are breathable and soft, making them perfect for hot days. Jazz Age Cafe Society dons like Picasso and Gerald Murphy were huge fans, as were many members of the 60s Jet Set. They’re essentially the official shoe of Riviera-trotters everywhere. A quick word of warning. They’re great for loafing, lounging, and generally being useless. Hence the above endorsements from some of history’s most prolific loafers. Do not try to wander around a city all day in them. You’re asking for pain if you do. The downside to something so simple and light is that they provide absolutely zero support and will leave you with sore feet after a full day strolling on pavement. Much better suited to beaches and such. They’re also particularly excellent as summer slippers (I keep a pair for just this purpose). Now for where to get them. You’re really spoiled for choice. The basics are pretty simple though – too cheap and they’ll disintegrate instantly, too expensive and you’re wasting your money on something that is inherently disposable. If you don’t get them wet very often they might last two or three years, otherwise they’re one-summer friends. No amount of hand-stitching, material sourcing, or fancy marketing can keep jute from swelling and fraying when it gets wet. 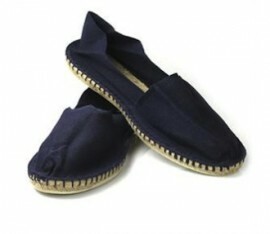 What you can do is look for models with tight, thick stitching, sturdy materials, and thin rubber outsoles. Some makers choose to use a second jute layer instead, which is more authentic and can sometimes be even better, but single layer soles with no rubber are going to fall apart almost instantly. All of these brands either have good reputations or I have personal experience with them. At the bottom of the price spectrum you’ve got RopeySoles and Soludos. I’ve had quite a few pairs from the former and have always been happy with them. Shipping can be a little much to the US for one pair, but if ordering multiples it’s no big deal. The later can be found at some J Crew stores, making them easy to find. Next you’ve got the offerings from Ovadia & Sons and Will at A Suitable Wardrobe. Will’s are made in Basque country, but it’s tough to tell from the pictures if they are hand-stitched or not. Ovadia & Sons’ are hand-sewn in Spain and feature sturdy soles. Finally there are the espadrilles from Chucs. The price is definitely high, but knowing Charles and the rest of the Finch’s crew, these are likely made in the same workshop where Fitzgerald’s and Hemingway’s espadrilles were made. 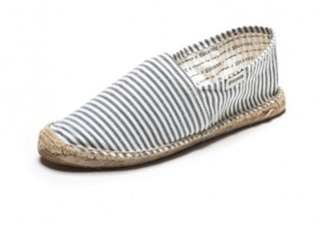 At the end of the day they’re still just espadrilles, but hands down the best around. Except for the ones you buy while visiting the Cote d’Azur of course. PS – You’ll notice we’re going to a Tuesday/Thursday schedule for the time being. I would much rather produce less content at a higher quality than to let standards slip.